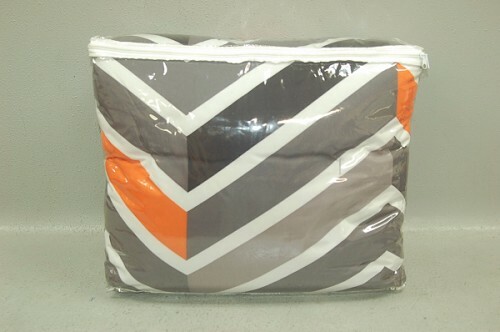 If you are looking forward to updating your bedroom, this Latitude Zig Zag Neon Bed-in-a-Bag Bedding Set would be a fun way to accomplish your goal! The convenient reversible comforter allows you to change the look of your bedroom every time you make your bed. 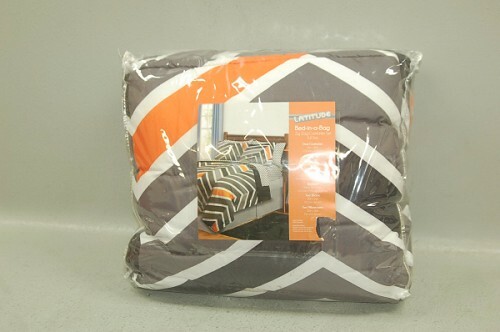 One side of the comforter is black and the other is a neon orange, black and gray in a zig zag pattern. 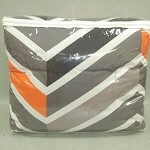 The bedding set includes pillow shams that match the warm, lightweight and attractive comforter. Additionally included is a coordinating sheet set and matching gray bed skirt. 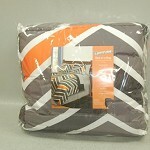 This comforter bedding set is made from a soft 100 percent polyester for a comfortable night's sleep. The Latitude Zig Zag Neon Bed-in-a-Bag Bedding Set has all the necessary components to change the look of your bedroom in a contemporary, stylish way!